Pastor John F. Ward is an anointed man of God with a big heart to serve God’s people. He ministers with passion and enthusiasm as he teaches God’s Word with revelation and the power of the Holy Ghost. He walks with joy and is always ready to encourage and minister God’s love to those in need. As a 10 year-boy in 1982, his mother took him to an evangelistic, Sunday night service at Word of Faith Christian Center under the leadership of Bishop Keith A. Butler. It was there he received salvation and the Gift of the Holy Spirit. It was 11 years later that he began to walk with the Lord and obeyed the call of God on his life. From 2004 to 2010, Pastor Ward has served as a Pastoral Care supervisor in the Department of Pastoral Care, ministerial supervisor over Operation Blessing and Helping Hand, Counselling, and as the New Member’s Minister, as well as fulfilling many other responsibilities. Pastor Ward also served as Bishop’s Butler’s Senior Assistant Pastor in establishing the Round Rock, Texas church. Pastor Ward and his family relocated to Toronto in July 2010 to serve as the Senior Pastor. He and his wife, Minister Cheryl, have a 9 year-old daughter, Rachel, and a 6 year-old son, John II. Pastor Cheryl Ward is an anointed, licensed and ordained, preacher and teacher of the Word of God. She has seen the life-changing power of God in her own life and the sincere desire of her heart is to see men, women, boys and girls receive God’s love and power, and to walk in victory in their lives. As the wife of Pastor John F. Ward and the mother to their two young children, Rachel and John, Pastor Cheryl’s full-time ministry is to her family. She is the perfect help-meet to her husband, serving side-by-side with him in ministry and in life. As a mother, she is passionate about receiving God’s wisdom and direction to raise her children as strong, confident godly seed. Pastor Cheryl Ward has been a faithful member of Word of Faith International Christian Center, under the leadership of Bishop Keith A. Butler since 1995. She served the church in the Choir and Praise Team, as well as assisting in a variety of departments, until she graduated from the Bible Training Center and became a full-time staff minister at Word of Faith in 2000. Pastor Cheryl was a full-time instructor in the Word of Faith Education Department, teaching in both the Bible Training Center and Layperson’s Bible School, and was a full-time Counsellor until the birth of her daughter in 2006. She also has earned a Bachelor’s of Arts degree in French and a Master’s of Arts degree in Education from the University of Michigan in Ann Arbor, Michigan. She taught grades 9-12 in the Detroit Public Schools for 5 years and grades 6-8 in Word of Faith’s Faith Christian Academy for 2 years. Bishop Keith A. Butler travels the world teaching the Word of God without compromise. In his precept upon precept, line-by-line style, Bishop Butler is dedicated to teaching the Bible and how to live by faith. He is the founder of Word of Faith International Christian Center in Southfield, Michigan–a church of over 18,000 members. He is currently the Senior Pastor of 3 growing, dynamic churches–Faith4Life Churches in both Round Rock and Dallas, Texas, and Faith4Life Church in Jackson, Mississippi. As Bishop, he oversees 14 churches in the United States. Bishop Butler has also established several international churches, including Toronto, Ontario and London, England. God has not only called Bishop to pastor in the local church, but also to be a pastor to pastors. The Word of Faith Ministerial Alliance is a fellowship of more than 800 ministers and Christian leaders throughout the world who have received Bishop Butler as their spiritual father and mentor. Through its companion website, faithleaders.com, ministers and Christian leaders can find valuable resources to aid them in their ministry callings. Bishop Butler is the author of over 24 books with such titles as Living Life on Top, The Art of Prayer, Seedtime and Harvest, God’s Not Mad at You and God’s Plan for Man. His television outreach, “The Word of Faith,” can be seen on stations throughout the world. With the support of his lovely wife, Pastor Deborah L. Butler, and their children: Pastor Andre Butler and his wife, Minister Tiffany Butler (granddaughters Alexis, Angela, & April), Pastor MiChelle, and Minister Kristina Butler, Bishop Butler continues to plant churches worldwide. 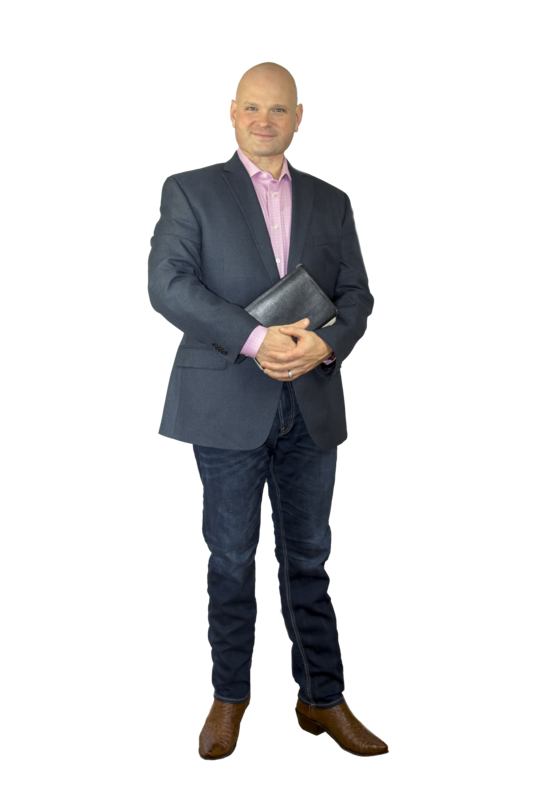 He ministers extensively at churches, conferences and seminars throughout the U.S. and abroad, with an emphasis on instruction, line-upon-line teaching and a no-nonsense practical application of God’s Word. Pastor Deborah L. Butler is the first lady of Faith4Life Churches in Round Rock and Dallas, Texas, and Jackson, Mississippi, where she serves in ministry with her husband, Bishop Keith A. Butler. She and Bishop Butler are the Founders of Word of Faith International Christian Center located in Southfield, Michigan. Pastor Deborah is a licensed and ordained minister of the Gospel. Along with her husband, she is a graduate of Rhema Bible Training Center, where she was prepared and trained for her ministry calling by Kenneth E. Hagin, Sr. Her encouraging, yet down-to-earth teaching imparts wisdom from the Word of God into all that hear her speak. One of Pastor Butler’s many duties is serving as the Director of the Women of Virtue Ministry at both Faith4Life Church locations in Texas. Pastor Deborah is often called to travel to other ministries to teach and admonish women to walk in the wisdom of God, and to experience peace in every area of their lives. Pastor Deborah and Bishop Butler trained up their children in the fear and the admonition of the Lord and today they have the pleasure of seeing the fruit of their labor. All three children are graduates of their parents’ Alma Mater – Rhema Bible Training Center. Their eldest child, Pastor Keith A. Butler II, with the assistance of his lovely wife, Minister Tiffany Butler, a graduate of the WOFICC Bible Training Center, pastor Word of Faith International Christian Center in Southfield, Michigan. Pastor MiChelle A. Butler serves as the Co-Pastor at Faith4Life Churches and travels throughout the world teaching the Word. Minister Kristina Butler serves on the ministerial staff at the Faith4Life Churches and, as a licensed attorney, works as one of the ministry’s corporate counsel.